This year marks 100 years since Nelson Mandela’s birth.  We invite you, our partners and supporters, to join us on our mission to reignite the joy of reading in children this Mandela Day in the #100by100 Challenge. 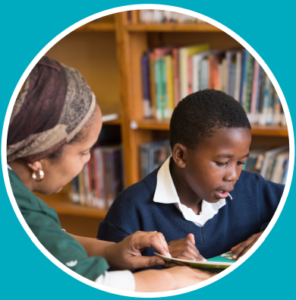 This year, we will be reviving reading rooms and spaces at partner schools in Cape Town and Johannesburg, as well as collecting items for Resource Boxes that will be gifted to under-resourced schools. There are two ways you can get involved in the #100by100 Challenge and make a BIG difference in the lives of children that struggle to read! 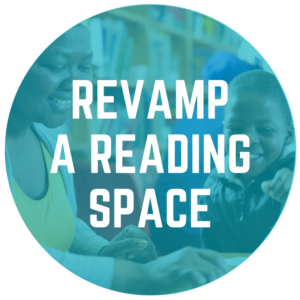 Join us in creating an exciting and engaging reading space in an under-resourced school. Having a dedicated space for reading that is inviting for learners goes a long way in encouraging reading. Gather your colleagues, friends or family members, or come solo, and make a big difference! We need a range of items to help create engaging reading spaces at under-resourced schools, as well as items for our Resources Boxes which we will be gifting to carefully selected schools to help expand their literacy reach. To view our inventory wishlist for the revamp and resource boxes, please click here.